Why throwing it if someone can use it? Cabinet has approved today State Plan for Waste Management Framework (PEMAR) 2016-2022, which sets the strategic lines and needed to move toward the so-called circular economy and boost preparation for reuse and recycling measures. Aware of the importance of promoting reuse for the benefit of sustainability, textile waste managers must take the principles set out the waste hierarchy, a simple mechanism that determines management policies in countries of the European Union (EU) and which is based PEMAR approved today. This hierarchy prevails over all prevention, a premise that is linked to the question almost 30 years we do at Humana: why throw still what good is it if someone can use it? • Reducing as far as possible the purchase of clothing, footwear and accessories. • Buy products that do not go out of fashion, good quality and durable, without falling into the so-called fast fashion that promote large clothing chains. • acquiring second-hand products or reusing what family or friends no longer used. • Betting on organic products, natural fabrics, recycled materials, fair trade or local producers and designers. • Developing self clothes from fabrics or reconverting other items that are no longer used. This initiative is called upcycling years and is present in design schools. • Lengthening the life of the product as directed by washing, ironing and laying. • Renting items for special occasions, for example in the case of dresses or suits for celebrations. In Human we know that the most sustainable garment is already produced, so the concept secondhand fits perfectly with the philosophy of sustainability that defends the waste hierarchy. 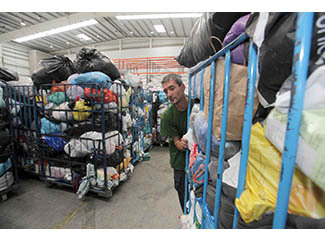 This principle states several steps when prevention is not possible: the preparation for reuse (the fabric used must be delivered to authorized collection points, such as containers or thrift stores, for managers as classified and mainly in terms of quality, give the best output); recovery, including energy, and ultimately the final treatment or disposal in a landfill for which can not be exploited in any way. The European Directive 2008/98 / EC requires EU countries to sensitize all stakeholders to avoid as far as possible the generation of waste from its origin, also to use the waste as resources, so seek sustainable management for the already produced and to minimize what goes to landfill. Brussels has set a specific target for EU members: 2020 each country must prepare for recycling or reuse half of its household and commercial waste (paper, metals, glass, plastics, bio-waste, textile ...). What may meet Spain? In our country they produced 22.9 million tons of household waste in 2011 and is only prepared to be recycled or reused about 30%. 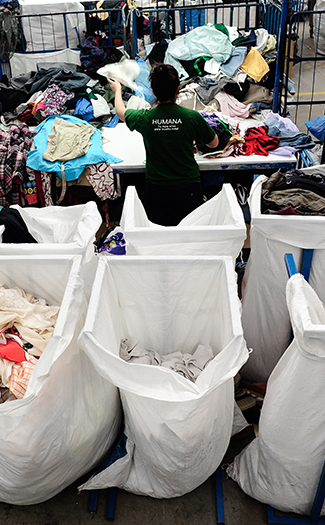 Regarding the management of the textile, the situation is not much better: although the fraction selectively collected more potential for reuse, the collection rate should improve very significantly (for example, an estimated 14,000 tons annually in Catalonia are generated and only 8%) is collected. 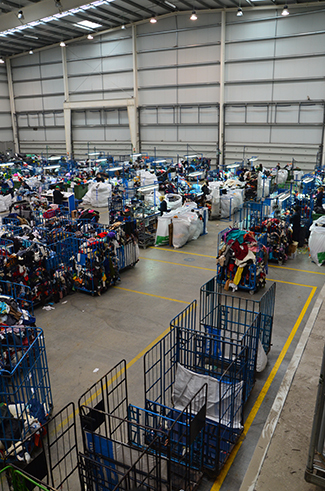 A consolidation would help in the medium term of a specific integrated management system (GIS) of textile. So in general, we have five years left to achieve what many consider a mission (almost) impossible.